There's something about go that lends itself to narrative, and perhaps no book gets inside this better than Yasunari Kawabata's chronicle of a pivotal 1938 match that ended exactly 78 years ago today. The Chinese board game of go has fallen in and out of fashion over the past 2,500 years. 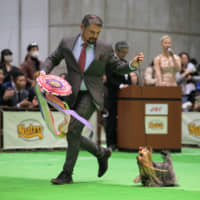 In China during the Han Dynasty (206 B.C.-A.D. 220), go was seen as a pastime for gamblers and layabouts, but by the 1600s it had come to rank among the “four arts” in which gentlemen were expected to be proficient. In Japan, it became the pursuit of warriors and the aristocracy from as early as the 8th century. Today the game is rich in lore, and stories of encounters on and around the board abound. In 1835, for example, in what came to be known as the “blood-vomiting game,” discord between rival go maestros led one ailing pupil to provoke his teacher’s nemesis. The match took just over a week and eroded the young challenger’s health to the point that, upon losing, he spat up blood on the board — and died two months later. There’s something about go that lends itself to narrative, and perhaps no book gets inside this better than Yasunari Kawabata’s chronicle of a pivotal 1938 match. 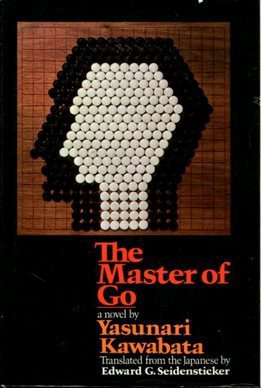 “Meijin” (“The Master of Go”) is also the only one of his novels he considered to be finished. The battle at its center ended exactly 78 years ago today. The monthslong contest ended on Sunday, Dec. 4, 1938, at a ryōkan (traditional inn) in the coastal town of Ito, Shizuoka Prefecture. 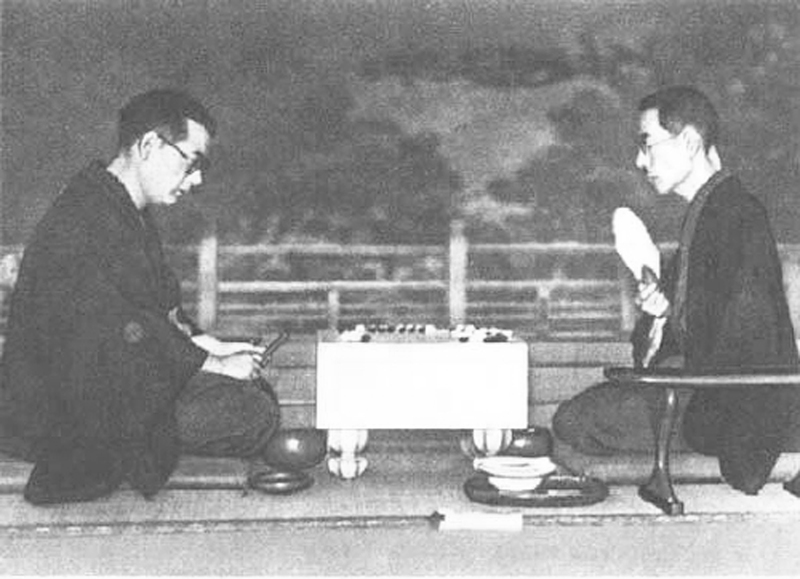 The two men, Honinbo Shusai playing white and Minoru Kitani playing black, agreed to see out the last moves of what had become a much-debated and closely followed match. 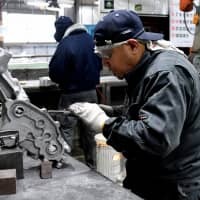 A newspaper, the Tokyo Nichinichi Shimbun, now called the Mainichi Shimbun, had sponsored the competition to spur sales and sent Kawabata — then 30 years away from winning the Nobel Prize — to report on it. His missives were serialized in the paper, becoming popular even among people who didn’t know how to play. 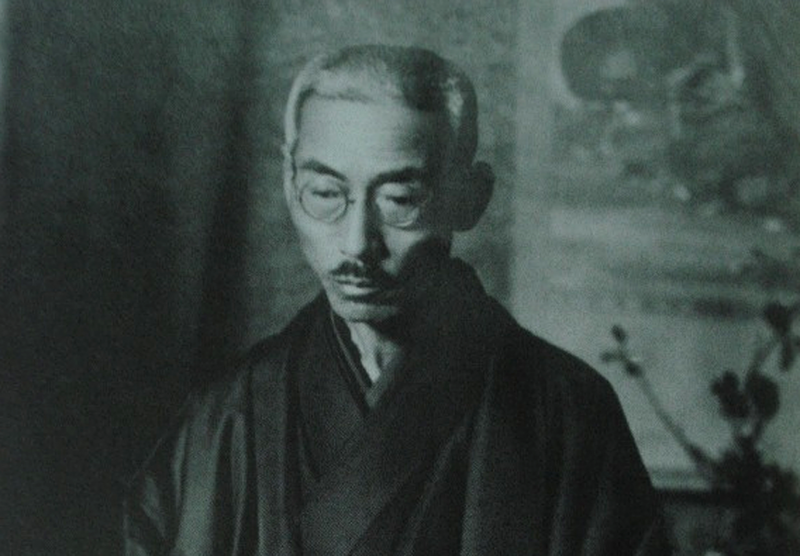 In 1954, “Meijin” was published, based on his reporting and experiences. The match was extraordinary for several reasons, not least because it took nearly six months to complete. In the end, the champion of the old style of play was toppled by one of the vanguard’s young spearheads — it was the end of an era. Beginning in 1612, a state-sponsored system gave rise to four dynastic go schools, of which the Honinbo were by far the strongest. Government patronage ended with the Edo Period (1603-1868), but some of the old schools persisted. 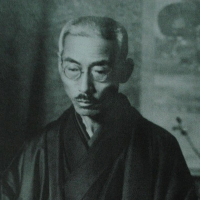 Shusai, the man at the center of Kawabata’s account, was the last of the Honinbo. Shusai also held the title of meijin (master). He chose to sell his Honinbo title to the Japan Go Association before retiring in 1936, effectively ending his line, but he was coaxed into a final match in 1938 by the Nichinichi for a price. Among the few similarities between go and chess is the frequent use of opening patterns, scripted dances that precede creative play. By the early 20th century, these had become somewhat calcified and dogmatic, and Kitani, along with his famous contemporary Go Seigen (referred to in the book by his Chinese name, Wu), were leading a new wave of innovation in the opening game. 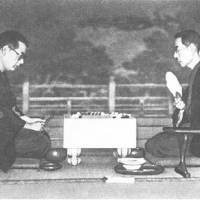 Seigen had faced Shusai in a 1933 match dubbed “The Game of the Century,” but was beaten after trying a radical opening. 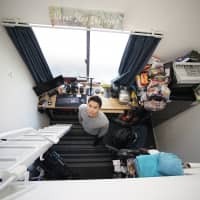 The levity of Kawabata’s fictionalized version of Kitani — he cracks jokes, drinks tea relentlessly and forever excuses himself to use the facilities — belies a ruthless, ironclad will on the board. He’d won a yearlong tournament to determine who would face Shusai in the 1938 match, besting two of his teachers in the process, and was determined not to lose. 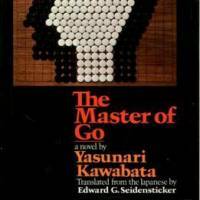 “The game of Go is simple in its fundamentals and infinitely complex in the execution of them,” writes Edward G. Seidensticker in the introduction to his 1972 translation of “The Master of Go,” and appreciation of the book increases with understanding of the game. In 1996, Russian grandmaster Garry Kasparov lost his first chess game against IBM’s Deep Blue supercomputer. In chess, there are only a handful of effective moves at any given time, and Deep Blue had the computational brawn to map out likely permutations before choosing the best one. Go, by contrast, is played on a much larger board with an exponentially larger number of permutations. 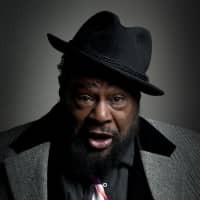 The possibilities are essentially endless, and artificial intelligences have only recently become able to beat the strongest humans using a rudimentary kind of intuition. In go, all 361 points of the board start off open. Players, taking either black or white, place stones in turn with the aim of surrounding more empty points than their opponent. While the goal is to surround territory, it is also possible to surround enemy stones, which are then removed from the board as prisoners. 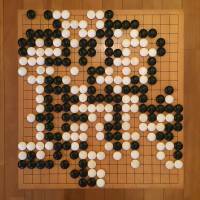 There are deep connections between go and military strategy, and many ways to conduct a campaign. Some players love to fight from the outset, while others seek to fortify and expand their positions incrementally without being dragged into a close-quarters scrap early in the game. To put yourself in the mind of a player, look at the empty board and imagine it’s your turn. Where would you go? Kitani began in the corner. Now imagine you’re the master, playing white. Do you build your keep at a safe distance, or set a collision course by making camp nearby? 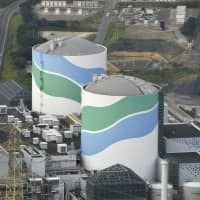 “But one may say too that the 64-year-old Master, gravely ill, played well to beat off violent assaults from the foremost representative of the new regulars,” writes Kawabata of Shusai’s eventual loss. The master never recovered; his health failed and he died a year later. Kawabata’s account jumps forward and backward in time between hushed moments in well-appointed rooms, where the two men are either waging war on the board or attempting to rest between battles. At its core, “Meijin” is an exploration of a larger moment when the traditions of the Edo Period gave way to the radical changes of the 20th century. Reading Kawabata, it’s hard not to wonder what he, or Shusai, might have thought about the latest wave of change to rock the go world. On Nov. 23, Cho Chikun, a highly respected go master, won two games in a best-of-three match with DeepZenGo, an AI developed in Japan. As a young prodigy Cho had been the student of none other than Kitani and, with his victory, many in the go community breathed a sigh of relief. In a surprise upset in March, Google DeepMind’s AlphaGo AI won four of five games against Lee Sedol — arguably the best go player alive — and Cho’s victory went some way toward evening the score. “I felt as if I was playing with a human, because DeepZenGo has both strong and weak points,” Cho said after the encounter. Just as the innovations of Kitani and his peers breathed fresh air into the game in the ’30s, advances in AI are introducing new possibilities today. In its second game against Lee, the AlphaGo AI stunned observers with a brilliant move that, by its own estimation, no human player would have chosen. Lee’s jaw actually dropped, he had to leave the room — and went on to lose the game. Revenge came in the form of Lee’s Move 78 in the fourth game, now known as “God’s Touch,” which staggered AlphaGo. The machine made a series of erratic plays before resigning, handing Lee his only victory in the series. 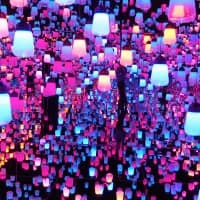 The import of these advances is thrilling, and professionals who have faced AIs say the experience opened their eyes to new kinds of play, raising the question: What could be next? 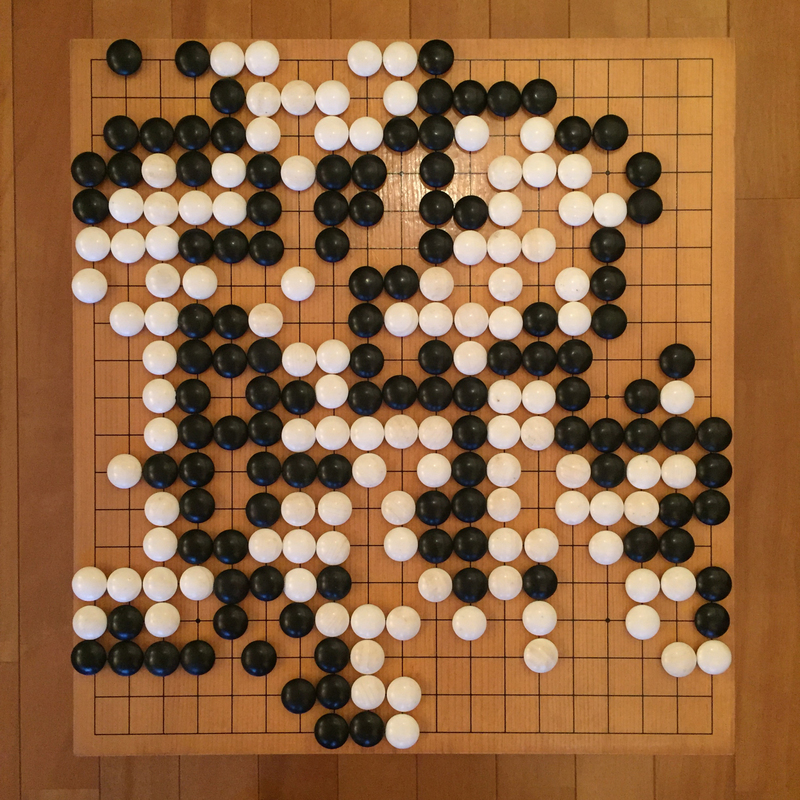 On the anniversary of the pivotal 1938 game that Kawabata immortalized, it’s exciting to ponder what the future holds for go — a game that has been at the center of so much human drama and has now become a forum for testing machine intelligence. In March, a Chinese team working on their own go AI announced plans to pit their machine against AlphaGo. It seems the possibilities really are endless. To view a move-by-move recreation of the 1938 game, visit bit.ly/2gc3igo and click through each play with the arrows.